The great plains of the Nazca (which there are four in total: Palpa, Ingenio, Nazca, and Socos) are located in the province of Ica at 460 km south of Lima. 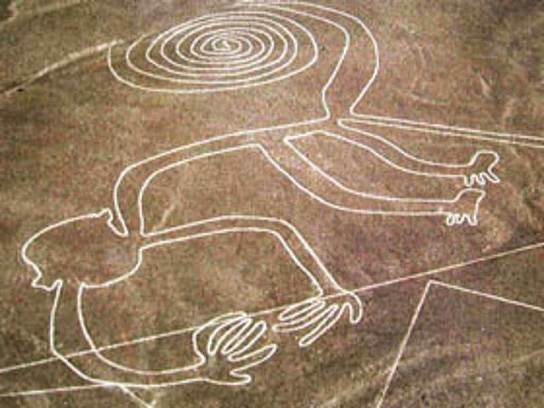 There, the modern people of today can appreciate the gigantic anthropomorphic figures and lines drawn into the plains by the Nazca people in the yesteryears. These lines and figures are the main attractions of the region. To truly appreciate them, one must take flight! How to view the land drawings. If you take the bus and arrive at one of the terminals, then catch a cab to Nazca’s Airport located 25 km from the city (about 15 minutes). It’s recommended that you arrive to Nazca early (think 8:00 am) so you can claim a seat on a tour plane. Flights usually consist of three to five passengers, costs from $50.00 to $100.00, and last half-an-hour. All flights are under the supervision and in accordance with the flight regulations. As soon as you take flight, you will bear witness to one of the most magnificent spectacles you will ever see: the figures drawn into the plains by the Nazca people. You will be treated and inspired by the giant mystical drawings of monkeys, dogs, humming birds, spiders, condors, whales, an astronaut, and over thirty others that will leave you in amazement and baring the question of “how did they do that?” which today’s modern man cannot explain. The giant glyphs of the Nazca that adorn the great plains have been officially declared a cultural monument of humanity. To date, the ancestral mysteries of these colossal await to be solved. This entire experience takes half a day. 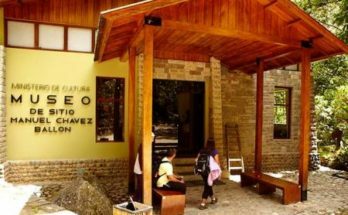 After lunch, in order to complete your experience of the old world Nazca, it is recommended that you visit the Didáctico Antonini museum located in Ave. La Cultura 600 where there is an entire collection of archeological exhibits that feature different eras of the Nazca people. From trophies and instruments, to textiles and funeral stacks, the museum gives guests a view of the culture. All of the museums artifacts where discovered while digging the archeological sight “Cahuachi”. 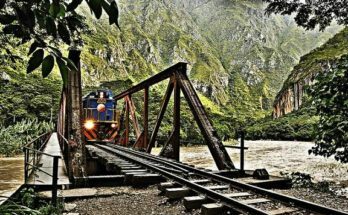 Additionally, visit the Bisambra canal that stands as proof of the Nazca’s amazing hydraulic engineering. 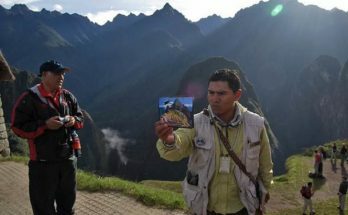 Previous Article What is the Inca Path?